Beautiful vibrant rug! Colors jump out at you. I ordered this for my two year old daughter’s room and it works perfectly with her theme! Feels soft and looks like it is easy to clean. We absolutely love this area rug!! The colors are perfectly pastel and match the things in my daughters room perfectly! We love it because of the mix of shades. It will allow us to change things around and still match without having to buy a new rug every time we do something different. Beautiful. Bought this for my 10 year old daughters room. It is perfect because it goes with any color comforter. It is not a plush rug, but it’s more practical for rough play by children. The detail in the photo is accurate. It’s a nice woven texture and I’m happy with it. 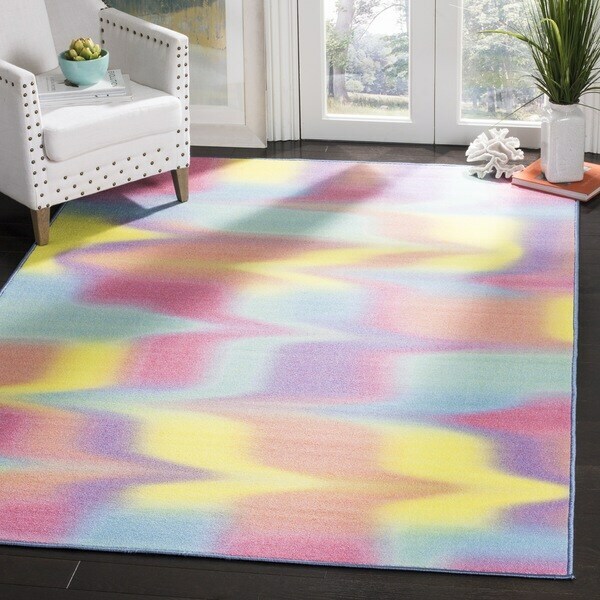 The rug is rich in color and looks just like the picture. The fibers are not long so it is easy to clean and maintain. It is a great addition to my pediatric office.